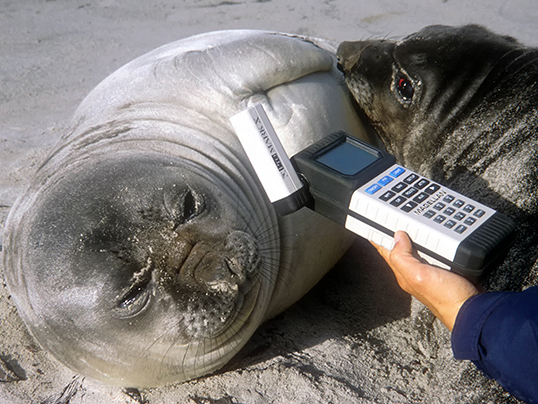 In all our mapping plan, the crucial factor was elephant seals collaboration. 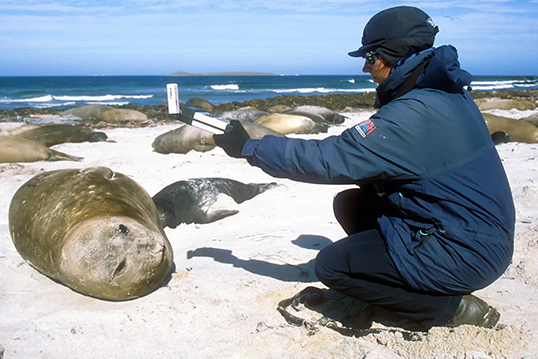 The tolerance to human approach that elephant seals show in most cases is amazing: without the "kind" help of elephant seals, mapping would have been very difficult to carry to an end. To map the external outline of an harem, the operator has just to slowly walk around the harem itself, trying to keep the receiver as much close to external females as possible. In most cases, it was possible to keep the rover receiver right above the body of each females. Females tend to react aggressively to the operator if they're waked up by his passage, but this reaction is very short lasting, in both time and space. In all, harem mapping was usually very effective: with a small disturbance was possible to carry on a fast and accurate work. Using this protocol, we are able to map outlines of all harems in our study area, determining size and shape of every harem. One of the great advantage of the method was speed. 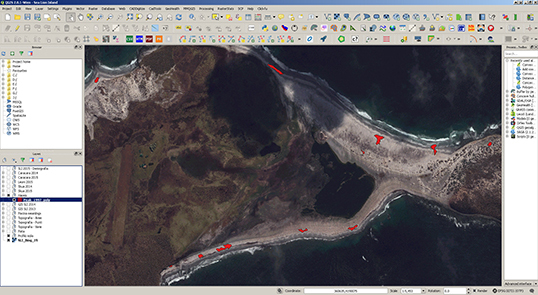 Mapping of even the largest harems takes just some minutes, and we were able to map harem during the routine census of breeding beaches. With differential correction, these positional data permit the estimation of many interesting parameters of harem size and shape. Preliminary analysis of this data revealed that the capability of peripheral males to get access to harem females strongly depends on the area occupied by the harem, on density of females, and, in particular, on shape of the harem. Harems that occupy a large area were not only more difficult to defend, but required more effort to produce an effective defense. 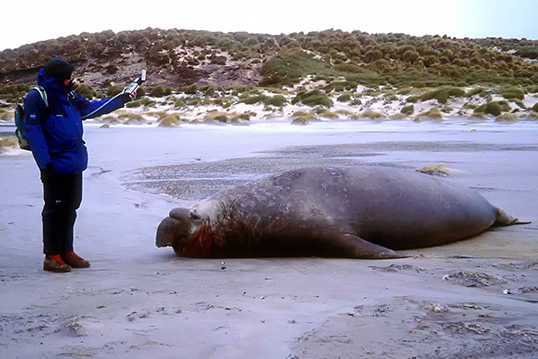 In the long term, more frequent and longer movements require a bigger energy expenditure for the harem holder, that may have a significant effect in these fasting animals. Snaking inside dense harems was much more difficult for peripheral males, and marginal females of dispersed harems were much easier to approach. 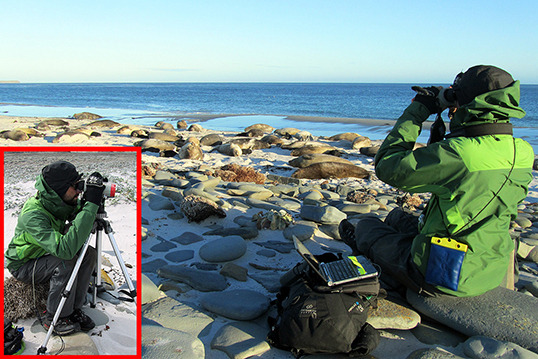 To reduce diturbance to the seals, and be able to map seals and harems during behavioural observations without disturbing them, we used a laser telemetry system, the Leica Laser Locator, that permits to measure distances and angles, and calculate 3D positions with +/- 1 meter percision from th distance, wihout approaching the animals. 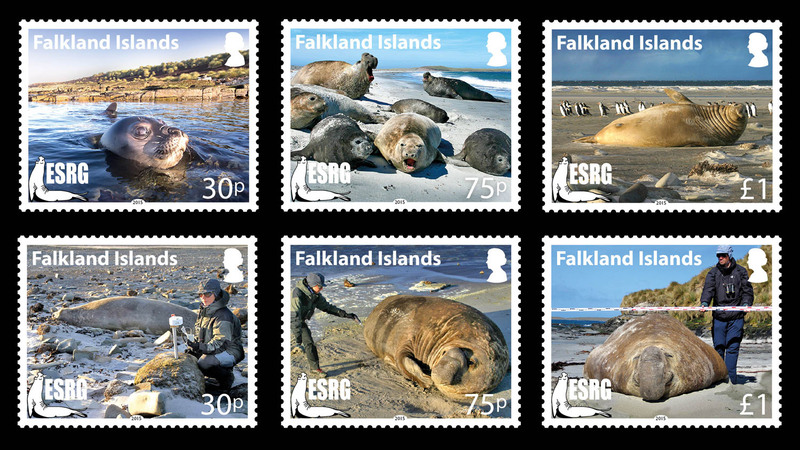 The system proved very effective, permitting us to estimate occupied area and density of harem, and study position in the harem and movements of individual seals.